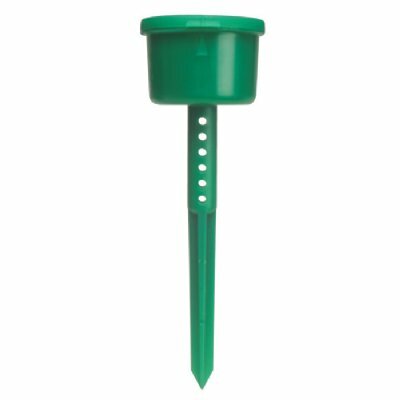 The Ants-No-More® Ant Bait Station is placed outdoors by simply sticking it in the ground, or indoors by inserting it into the soil of a planter. Place this ant trap wherever foraging ants are causing problems - around homes, buildings, near shrubs, trees, flower beds or planter boxes. Foraging ants enter the Ant Bait Station, take the bait from one of two compartments and carry it back to the nest. 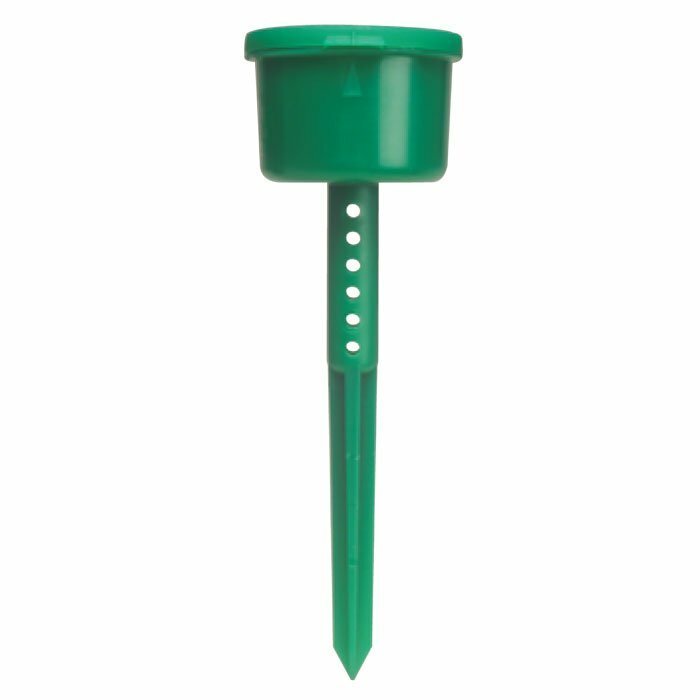 The Ant Bait Station eliminates the heart of the problem - the colony. Line up arrow on tamper-resistant lid. Push lid up and back with your thumb. Place your choice of ant bait in either or both compartments. Replace lid. Stick Ants-No-More® in the ground anywhere foraging ants are a problem. Ants will carry bait back to the nest - eliminating the entire colony. 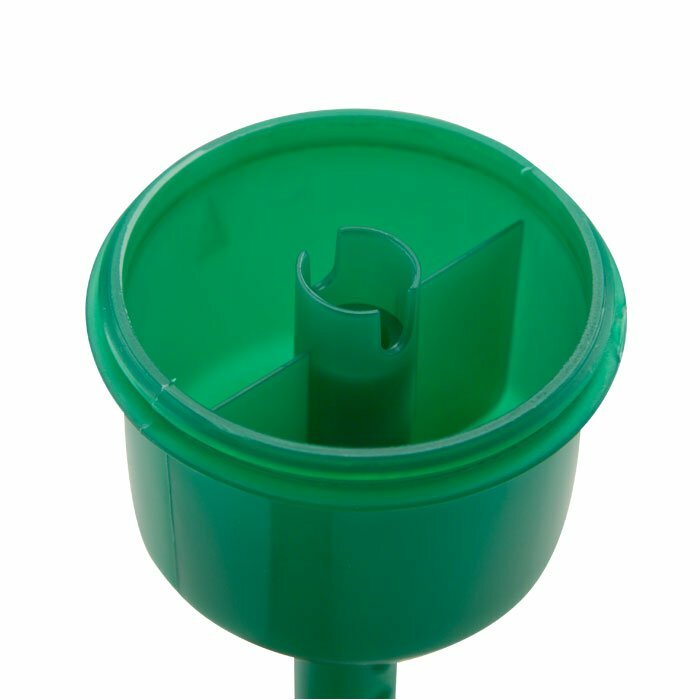 Rugged one-piece green polypropylene construction. Highly tamperproof, waterproof, and due to its design the bait will not spill out of the entry points. Accommodates all types of baits. User’s choice of gel, granular or liquid bait. 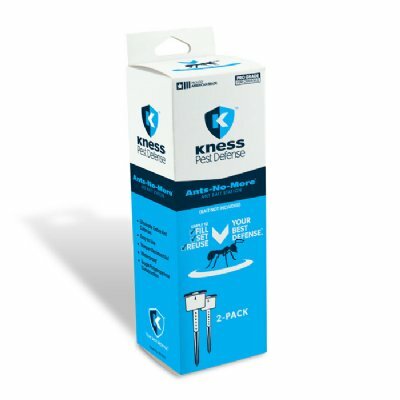 Provides safety and reduces bait cost. 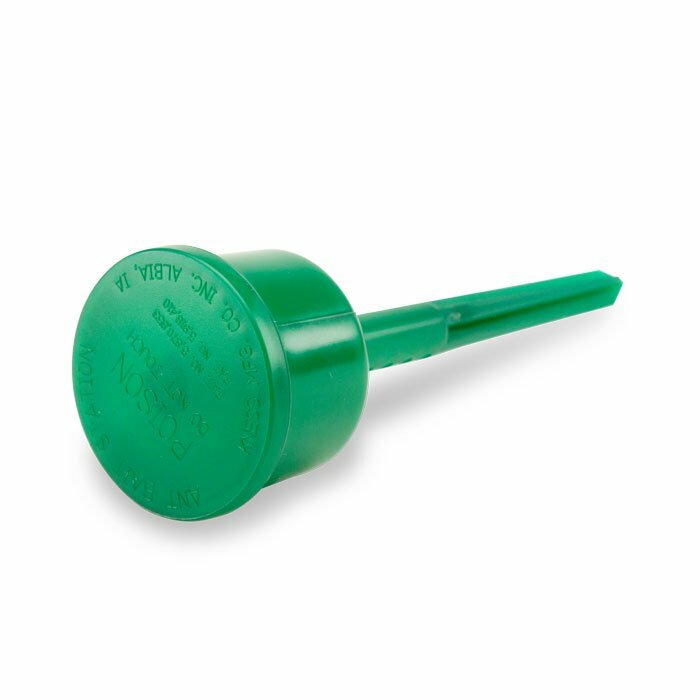 Can be used in wet environments such as near indoor and outdoor sprinkler systems. Protects bait attractant from UV rays so bait remains effective longer. Identifies target pest and product. Increases ant movement in and out of trap. Quicker elimination of ant colony. Any area where foraging ants are active. Areas below bath and kitchen windows.